Thanks to its balanced formula which purifies the skin, eliminates existing dandruff particles and prevents further formation. Its delicate cleansing action ensures soft voluminous & shining hair. Explore the entire range of Shampoo available on Nykaa. 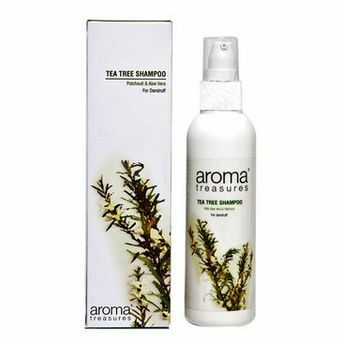 Shop more Aroma Treasures products here.You can browse through the complete world of Aroma Treasures Shampoo .Alternatively, you can also find many more products from the Aroma Treasures Tea Tree Shampoo range.